A rock sinks in the water. A hot air balloon floats in the air. 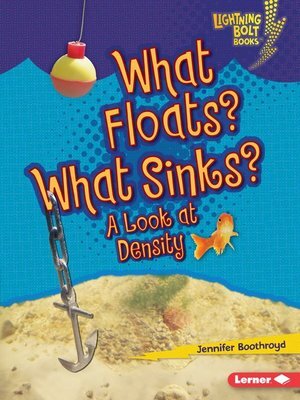 Many objects float and sink. But what makes them move this way? And how do people use floating and sinking in their lives? Read this book to find out! Learn all about matter, energy, and forces in the Exploring Physical Science series—part of the Lightning Bolt Books™ collection. With high-energy designs, exciting photos, and fun text, Lightning Bolt Books™ bring nonfiction topics to life!